Earlier this month, I got to teach at the adidas studio on Brick Lane. Their residency was due to be up in October but so far it’s been extended to April 2018. If you haven’t been down there yet, why on earth not?! 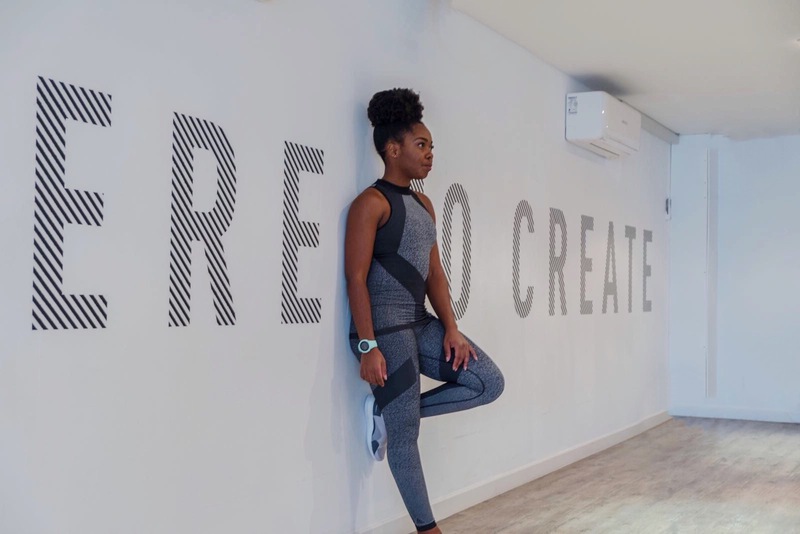 They have women’s only run club every Wednesday evening and Saturday mornings as well as offering classes throughout the week on mornings, evenings and now lunchtimes. The class I was drafted in to teach was H.I.R.T …high intensity resistance training. Being supporters of creativity I was able to devise a session myself using the equipment available to me. For Friday mornings sessions, the ladies worked in groups of five rotating through five different weighted exercises. We then completed a block of 7 drills together before getting back into the groups for some more weights. Saturday mornings sessions were also in groups (of four this time) rotating through 4 exercises, twice and completing three different blocks of 4 exercises. If you know me, you’ll know I always bring the tunes for class so if you wanna know what songs were on my playlist you can follow me on Spotify (there’s a widget over there > in the side bar on full web view, not mobile). I alternated between the Bests Bootcamp and Boys & Girls playlists. I update the Boys & Girls playlist regularly and just use it on shuffle! Huge shout out to all the ladies I got to train with – your energy was insane (in a good way of course!)! Keep up to date with my weekly teaching schedule via the pinned post on my Facebook page or via the Train With Elle page right here on the blog! What a beautiful combo. Greys are my favorite. I kind of like that idea that you should always sweat in style. Keep posting these style posts!